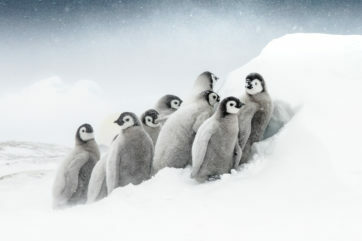 Winter provides some of the best conditions for photography! With snowfall covering everything white, Christmas lights filling up our cities high streets and the rain causing reflections on mass, the cold weather isn’t all that bad for us photography lovers. 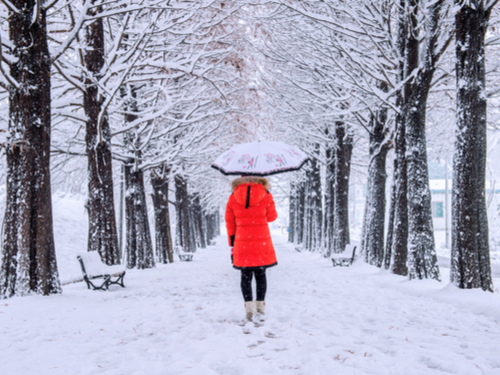 Here are our 5 top tips on taking the perfect winter photo! Untouched snow gives a clean look to your photos, keeping the freshness and bright white contrast the forefront of the images. This would mean however planning and timing your photos during snowfall or early morning shoots to avoid areas being ruined. 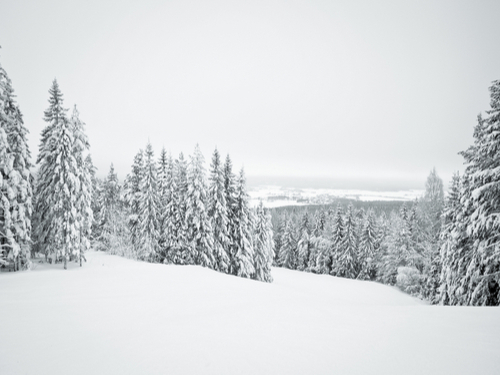 Untouched snow has an element of tranquillity, with snowfall in a light or heavy capacity a sight in itself. Like rainfall, be sure to correct your shutter speed to capture the image without the amount of snow falling ruining it. A slower shutter speed will make any type of snowfall appear as streaks of white, with a faster one appearing as individual snowflakes, both impacting your image! Given heavy snow covers almost everything, it creates a perfectly white backdrop allowing the colour to brightly stand out. This can be used to great effect when the snow itself isn’t the centrepiece of the photo. The white backdrop allows for anything colourful or a stark contrast to stand out. This explains the effectiveness of black and white images during winter! Many cities across the world have lights that light up the skyline at night. Clear winter nights make these skylines extras sharp, with the only downfall being the fog may reduce the amount of distance you can see! Also, the winter months of November and December see cities and towns having Christmas markets with their large lit up trees, Christmas lights covering entire streets and stalls selling festive produce. These magical moments create photos filled with festive colour and joy completely transforming areas of towns that otherwise could just be a plain shopping street or square. 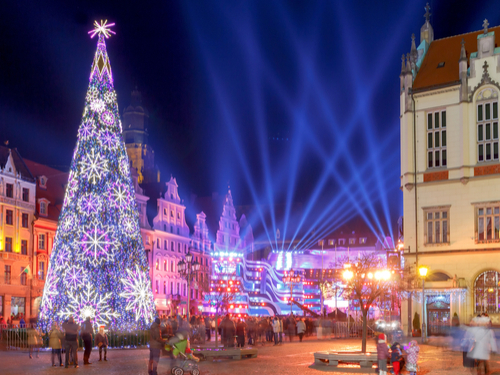 Most major cities across Europe host large Christmas Markets with some starting as early as the start of November, so take a look! 4. Winter isn’t just about snow, try fog and rain! The winter months bring early dark nights, lots of rain and fog covering our countryside. Cool but clear mornings, with the sun rising above the fog can create some of the most beautiful moments to picture! City skylines in the fog, or rain amplifying the city lights reflecting from the water again offer new angles to shoot. Fog and rain both can create an atmosphere for your image and combined with different backgrounds can create different moods. 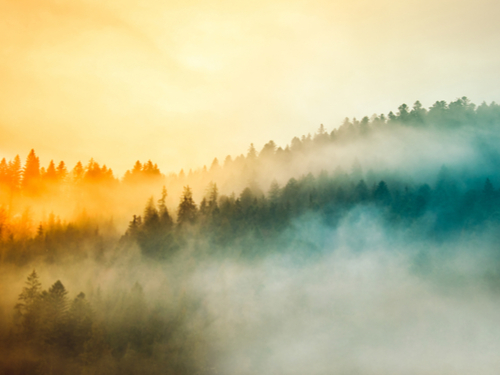 We’d suggest using fog to separate parts of your image, like isolating different colours, shapes and objects that will stand out in its natural form. Once again with rain, consider shutter speeds as the same principle applies with streaks and drops! 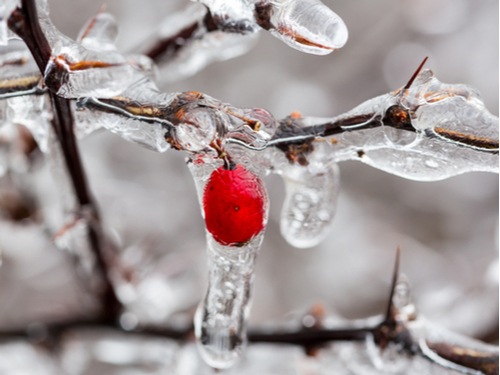 The unpredictability of snow, ice and the weather, in general, can create problems if you’re not prepared for it! It’s also the unexpected however, that can create those standout shots that you’ll cherish. Snow can start, and stop falling very quickly, and the sun can melt the ice before you’re ready dampening everything. Frozen items can become distorted through the lens, offering a new take on usually quite boring subjects, keep an eye out for these! …but most of all, keep warm! Your winter photoshoot won’t be a good experience if you’re cold and uncomfortable, resulting in you rushing and missing those killer shots. November 2018’s competition theme is ‘Winter is coming’, so be sure to enter and look out for NEW competition themes EACH MONTH on our Facebook, Twitter and Instagram for a chance to win up to £100 of framing vouchers!